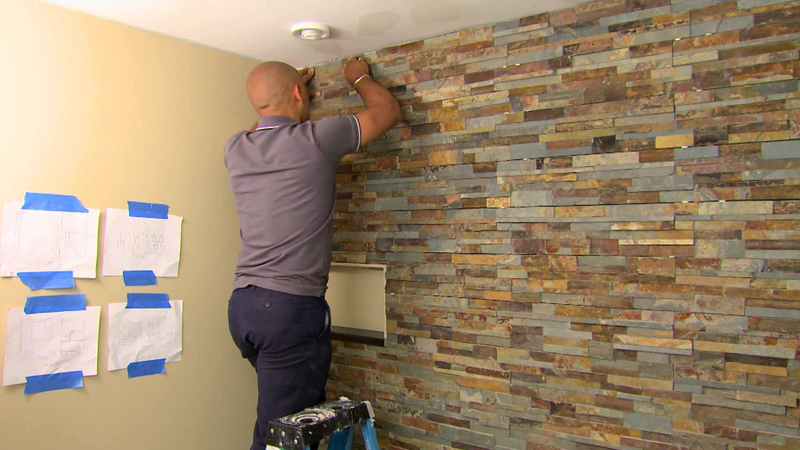 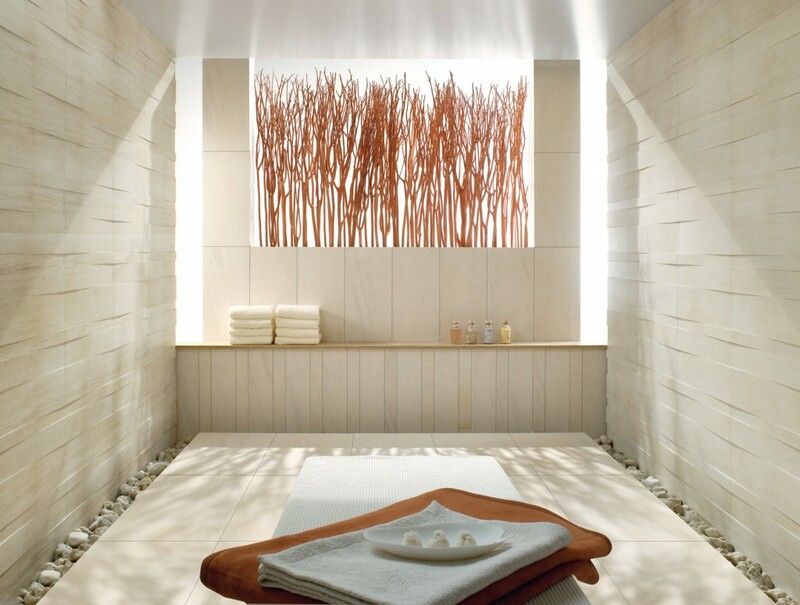 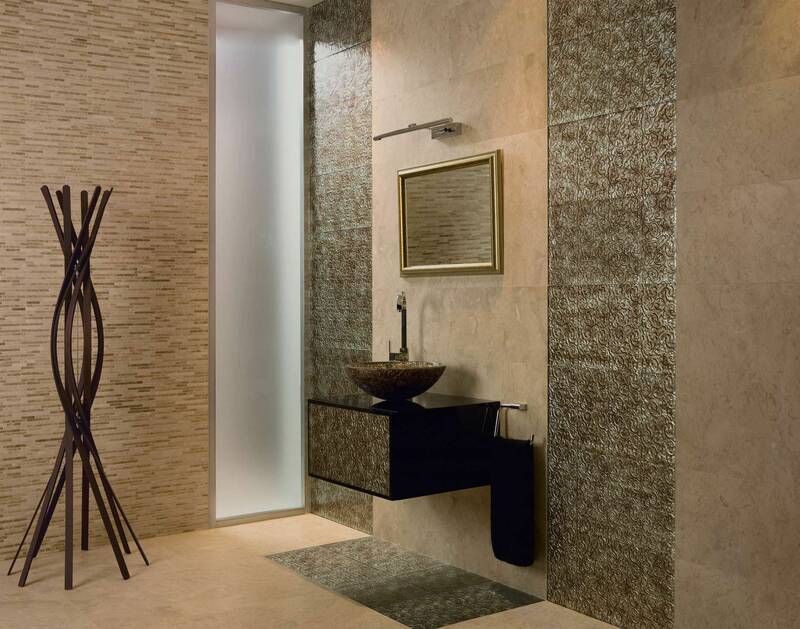 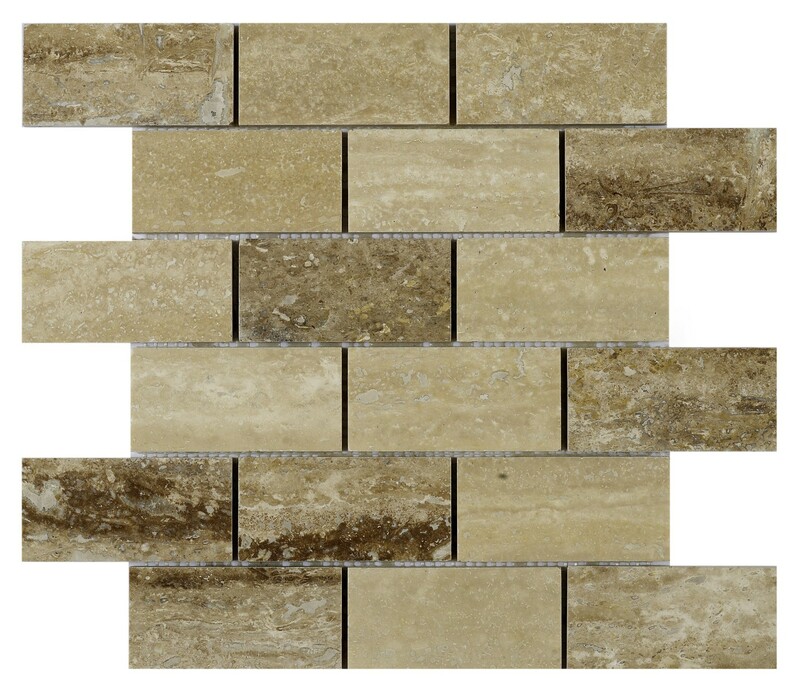 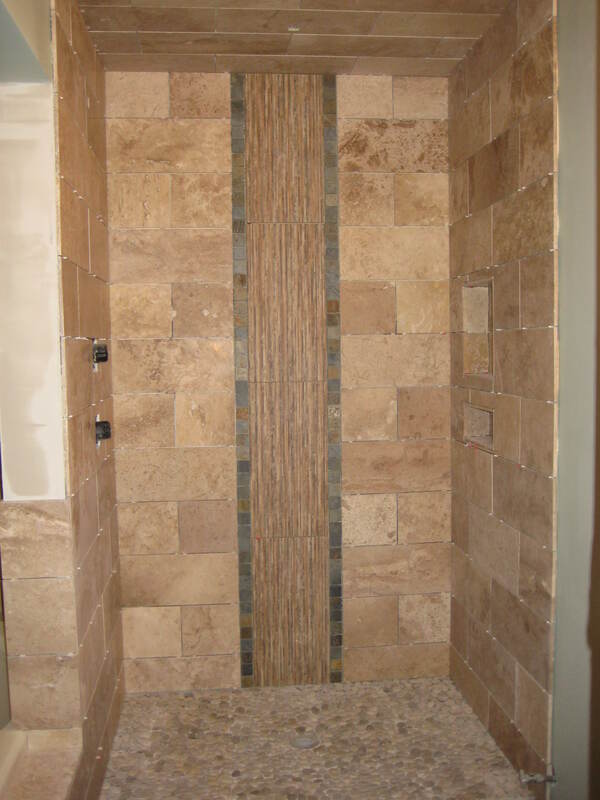 What are all those ideas that advice you to use natural stone bathroom wall tiles? 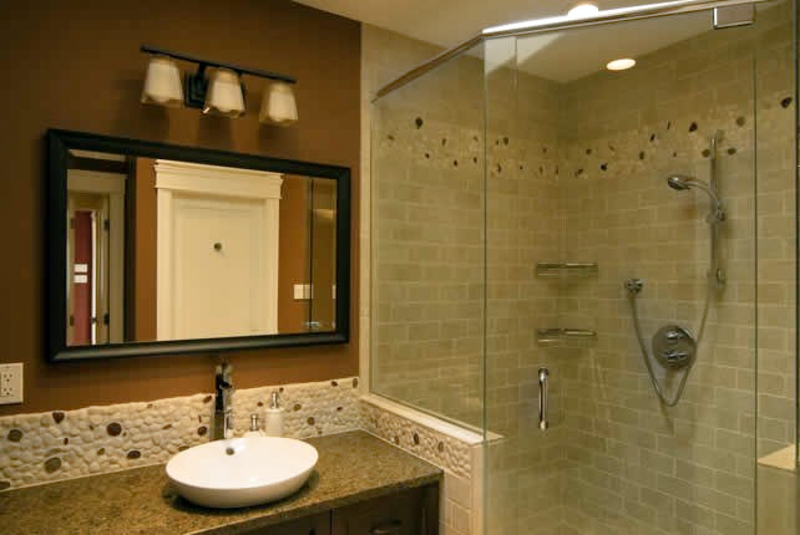 Indeed, there are many of them, and each has its own pros and cons. 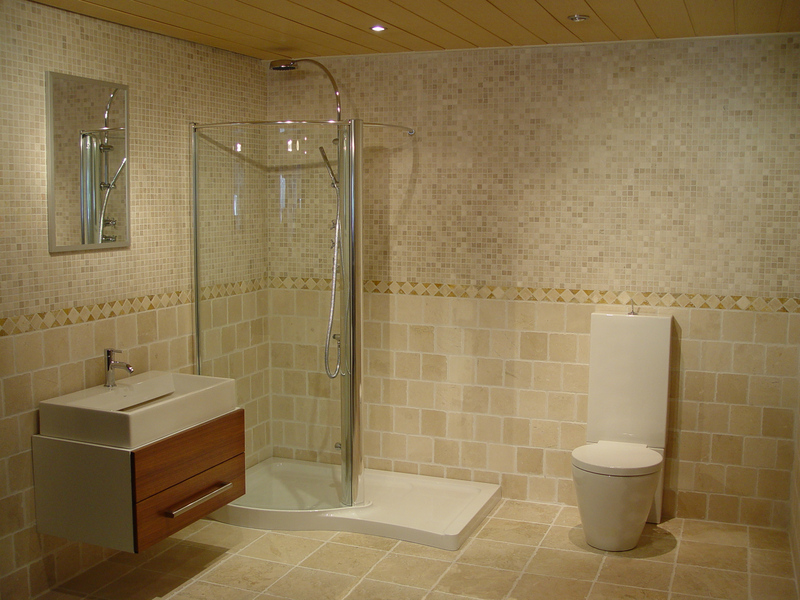 First of all you must understand that using natural material in the bathroom renovation is not cheap at all. 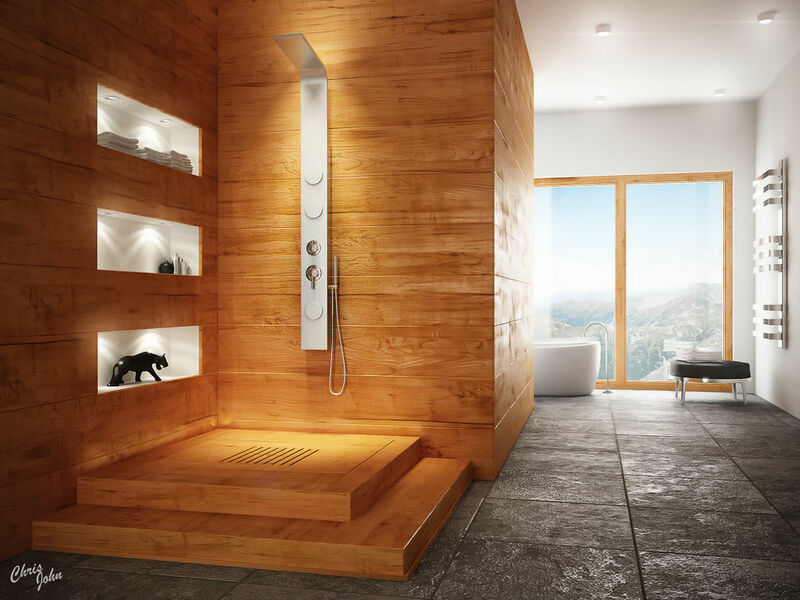 in fact, it is very costly. 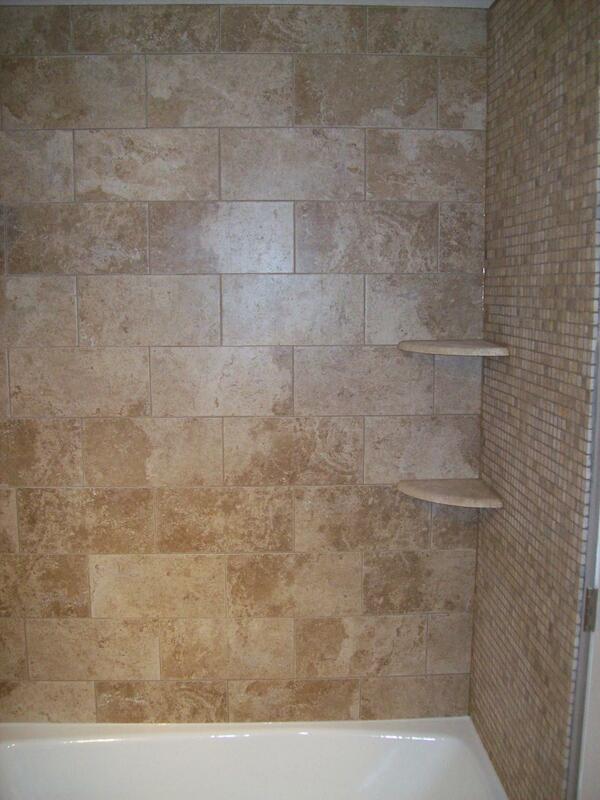 But nice looking pictures and photos are so convincing, right? 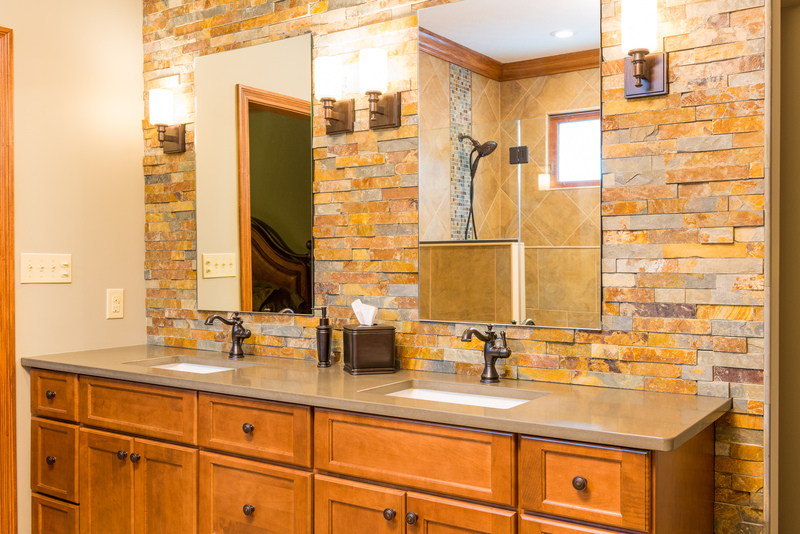 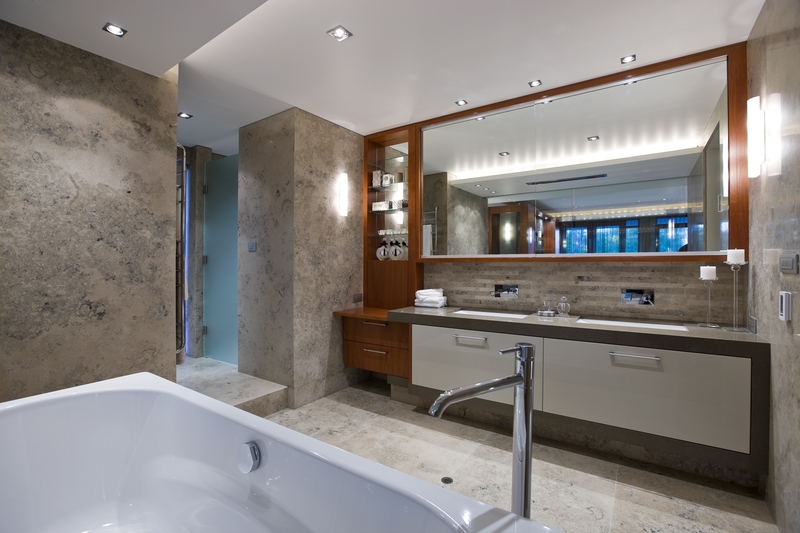 So, you have decided to ahead with natural stone bathroom design. 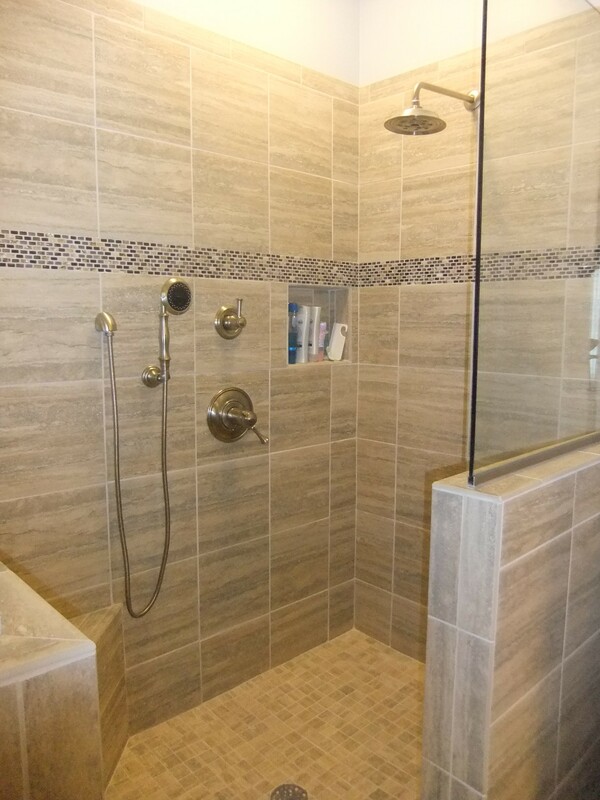 Well, okay. 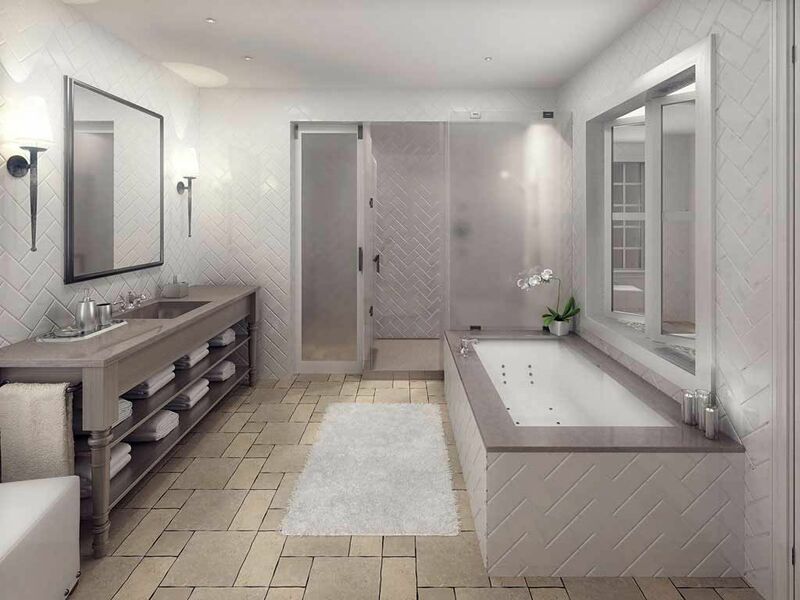 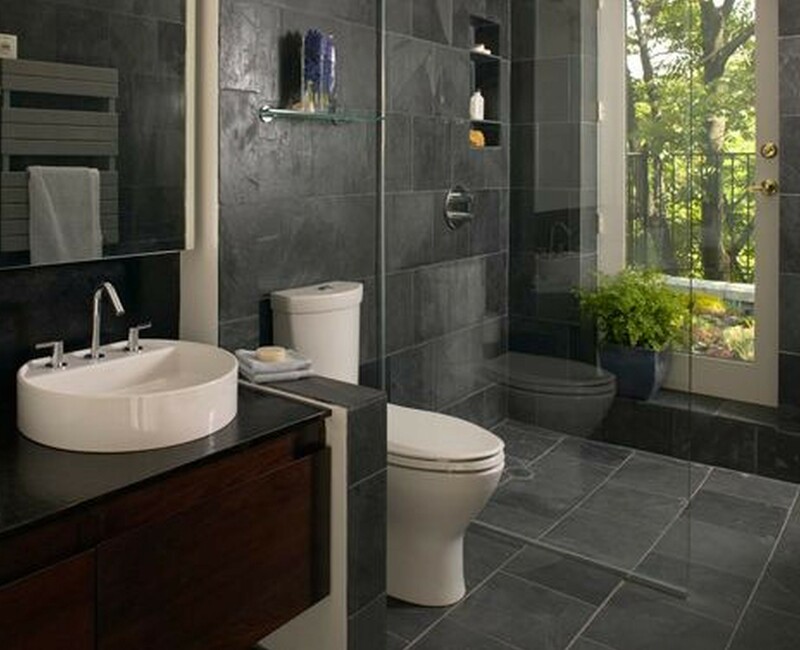 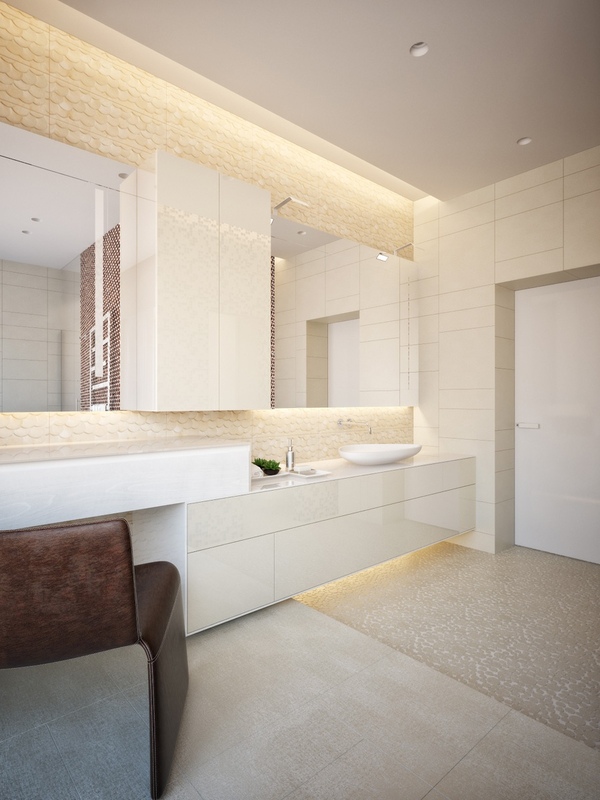 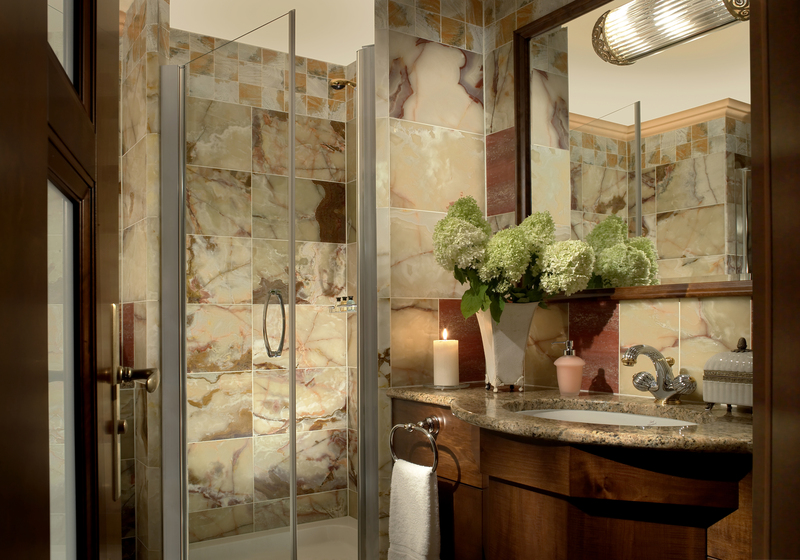 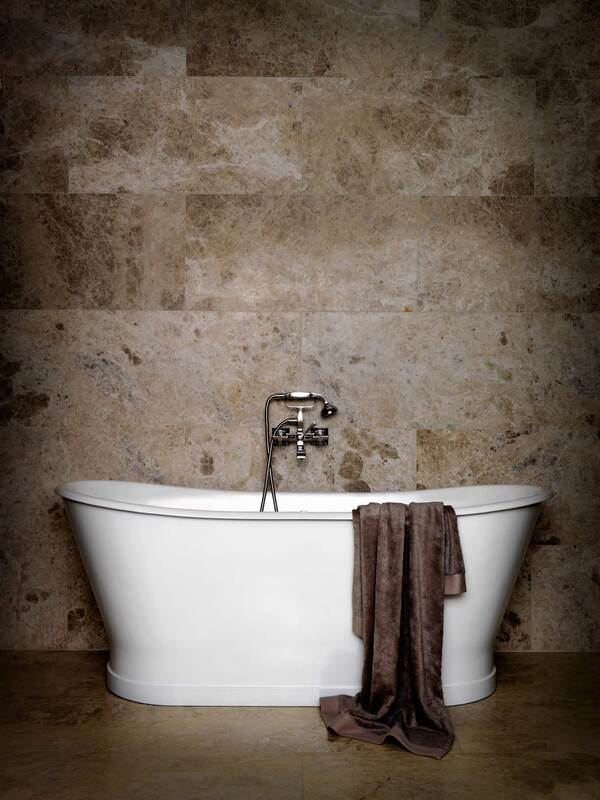 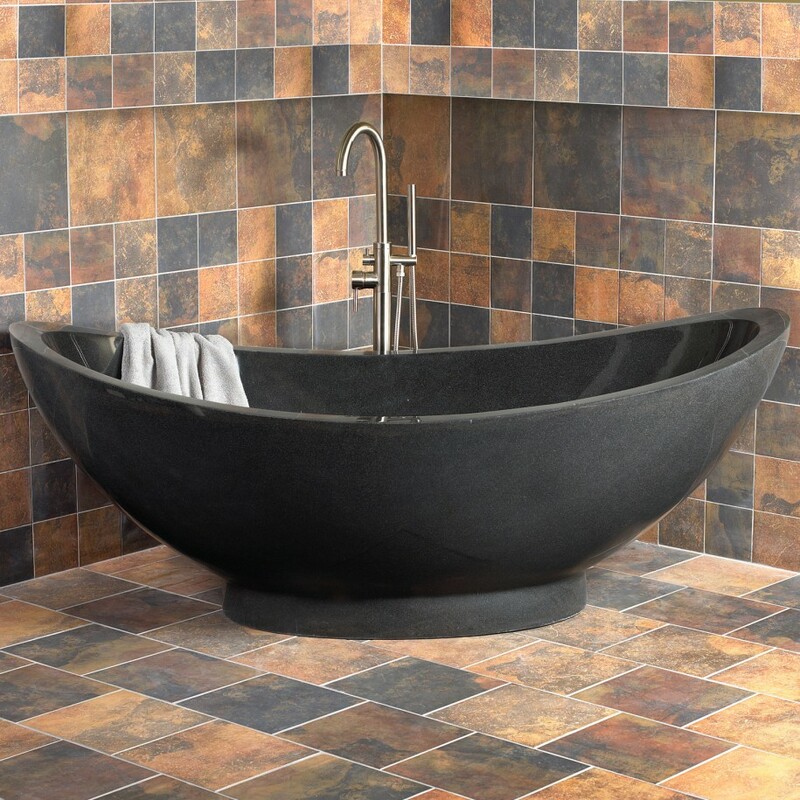 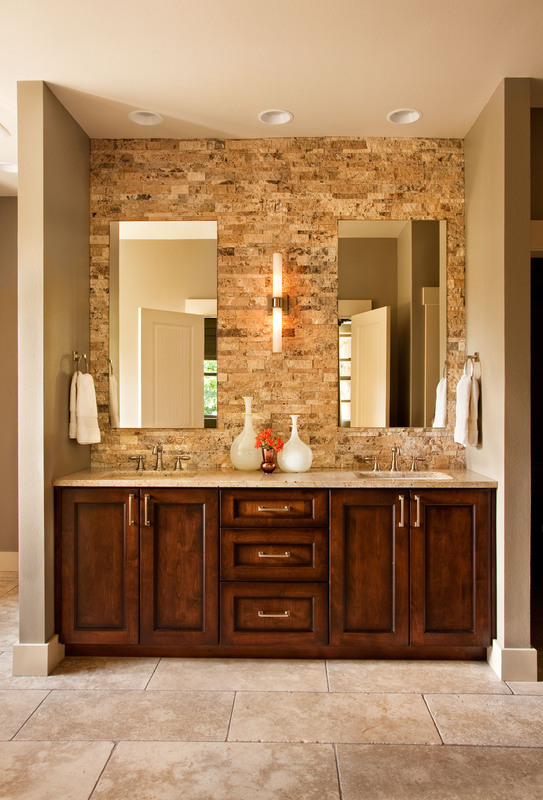 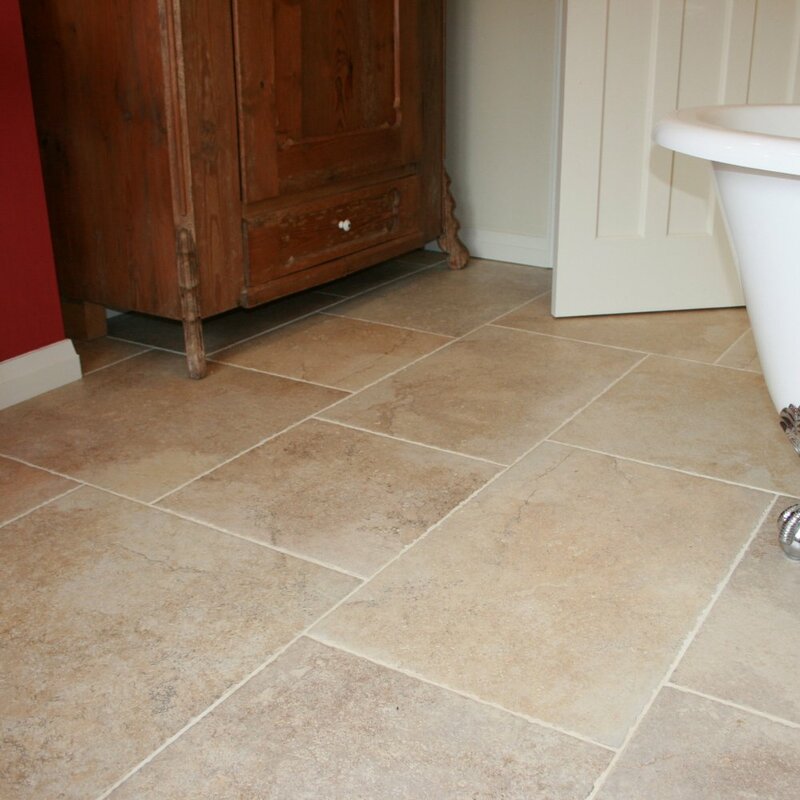 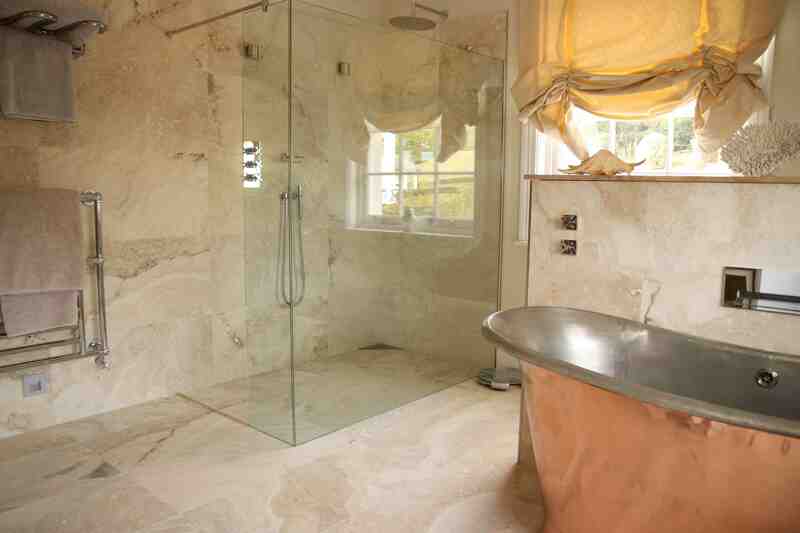 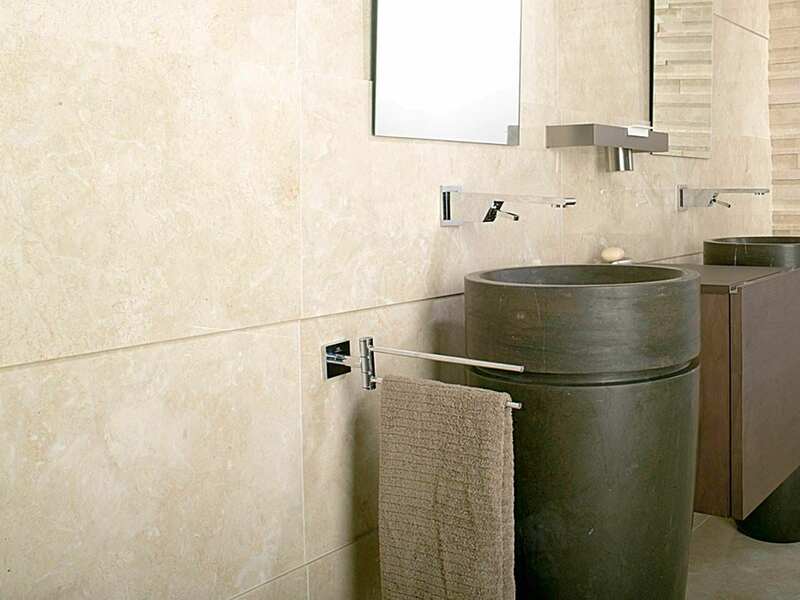 Then you need to choose what natural stone you would like to see in the bathroom – marble, travertine, limestone, granite? 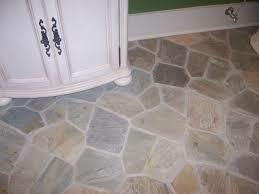 All of them are very different not in the look only but in price and the place where you may use them. 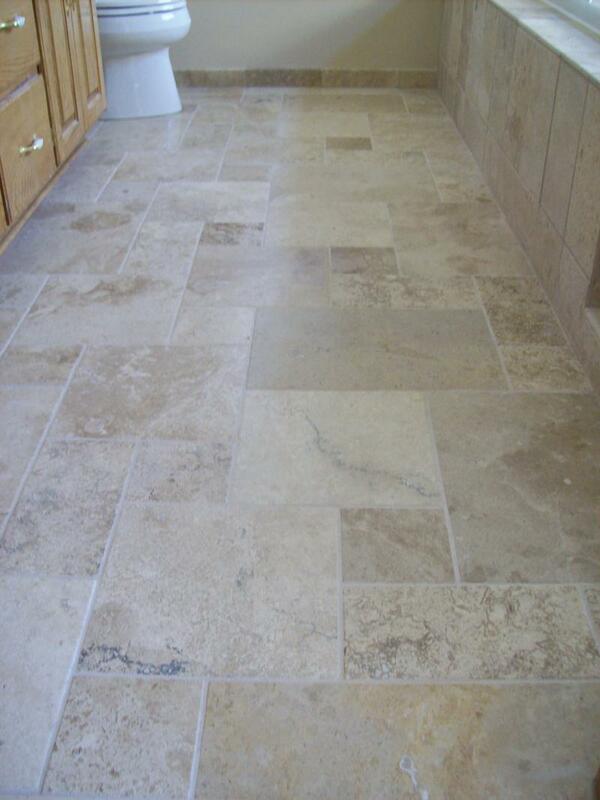 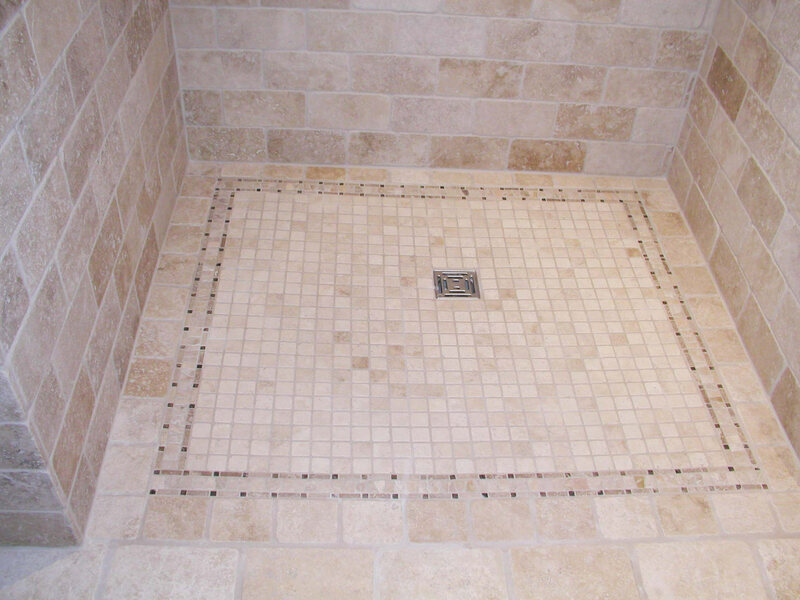 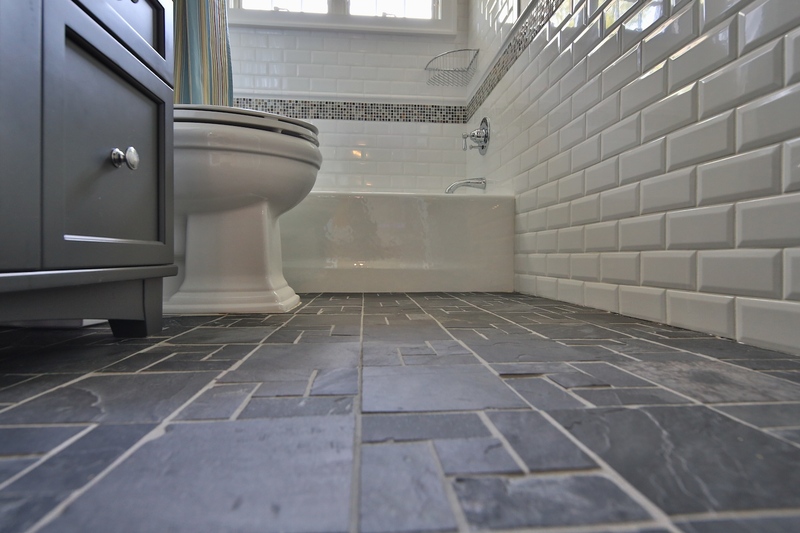 Usually the best parts of the bathroom for the natural stone renovation are floors abd walls. 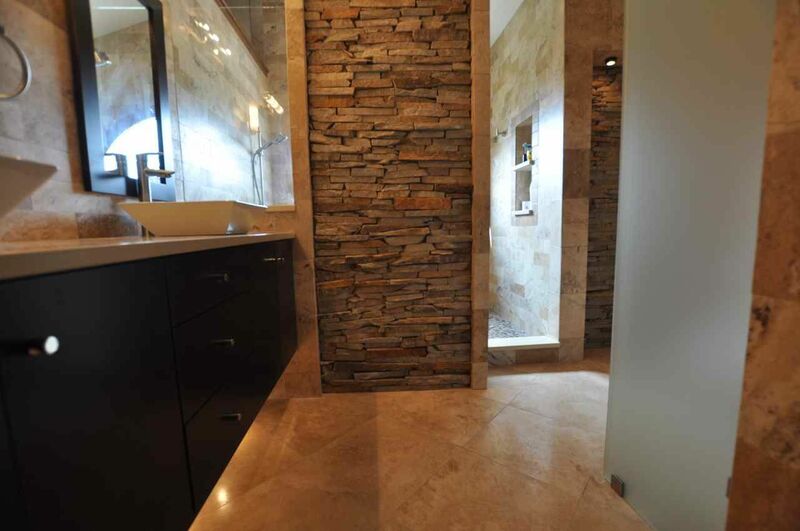 Sometimes the whole space can be finished in the stone including bath tub, sanity, and sinks.